Apple has announced sales figures for the second gen Apple TV. This week it is expected that sales will hit 1 million. The Apple TV went on sale in September of this year which means it hit the 1M mark in about 4 months.When compared to the first generation Apple TV, the sales are much better. This is partly due to the newer model having a far better price point than the original. 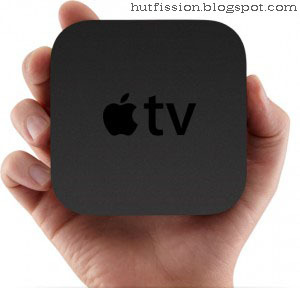 Apple today announced that it expects sales of its new Apple TV® to top one million units later this week. The new Apple TV offers the simplest way to watch your favorite HD movies and TV shows, stream content from Netflix, YouTube, Flickr and MobileMe?, all on your HD TV for the breakthrough price of just $99. iTunes® users are now renting and purchasing over 400,000 TV episodes and over 150,000 movies per day. With the rental figures shown above, Apple has certainly got things better this time around with the Apple TV. Expect more to arrive in the coming year.